We’ve just completed a project for catering equipment company Geoff Rodgers to promote their range of used catering equipment to the Scottish Market. The range of mirror sites will attract customers from various areas of Scotland. The websites are updated regularly with lots of great deals on catering and refrigeration equipment. 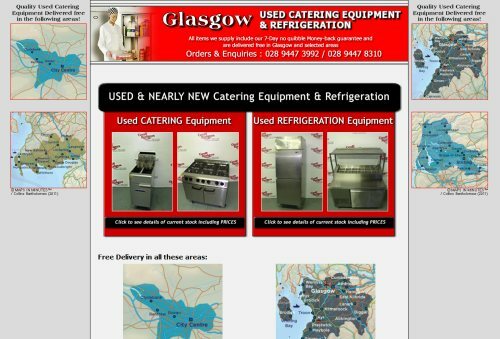 Visit them today at http://www.edinburgh-usedcateringequipment.co.uk/, http://www.aberdeen-usedcateringequipment.co.uk/, http://www.highlands-usedcateringequipment.co.uk/ and http://www.glasgow-usedcateringequipment.co.uk/. Ardnet Online Solutions have been providing website solutions to businesses throughout Northern Ireland and further afield since 2000.